Green clay, white clay, pink clay, brown clay. Clay comes in as many colors as it has benefits. I’ve been keeping my beauty routine quite simple lately. But with the weather changing I’ve noticed my skin’s craving a little more. A little more clay. Nothing cleanses out those pores quite like a clay mask! Clay masks are actually very simple to make. For an instant face mask you can just mix a little bit of clay of your choice with a bit of water, milk or aloe vera juice or gel. But I like to keep my masks a little longer and make them work just a little harder. Inspired by the L’Oreal Pure Clay Masks I decided to make my own set of skin healing face masks. I mixed equal parts of 3 types of oil and clay. It’s as simple as that! 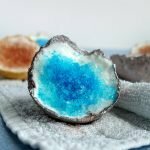 Can you use Metal Spoons and Tools with Clay? I’ve read multiple times and on several websites that you can’t use metal bowls, spoons and other utensils when handling clays. Some say that when clay comes into contact with metal it makes the clay useless, others say it absorbs ‘dirt’ from the spoon. From what I understand, clay can only exchange ions with metals in water. And even when you’re mixing water and clay, the chance of ion transfer is very slim. Read more about this in my post here. If this still worries you, I see no harm in opting for ceramic, plastic or glass tools instead. I usually use a plastic spoon to scoop the clay out of its container and to mix the oil with the clay. 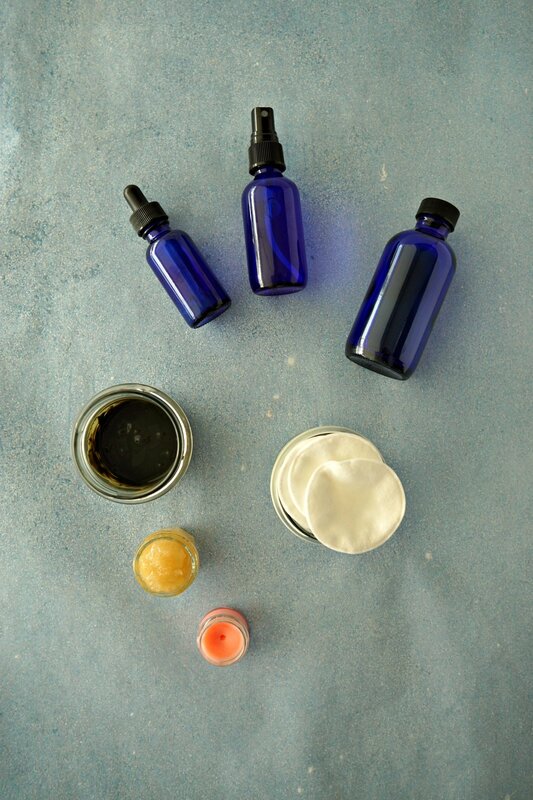 To pick the right oils for my skin I used my ultimate guide to choose the right face oil. 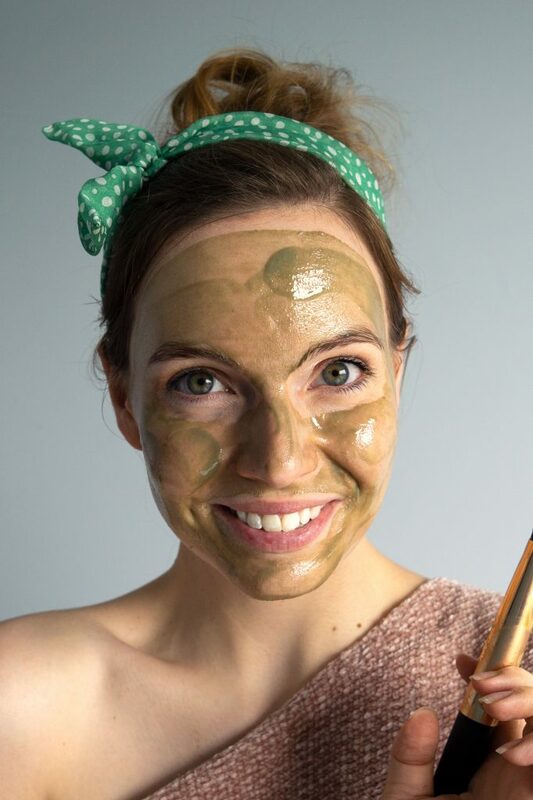 A French Green Clay Mask is an excellent choice for acne prone skin. It is said to draw impurities from the skin, tighten pores and exfoliate dead skin. Since this clay is so absorbent I like to pair it with moisturizing Argan Oil. This oil is rich in vitamin E and that’s why it also has anti inflammatory properties. Perfect to fight those pesky acne spots! 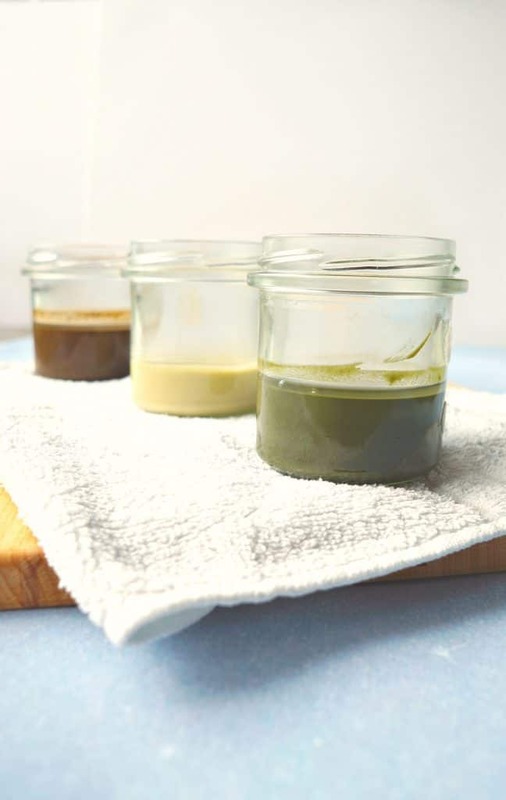 To make the face mask I mixed 6 tablespoons of green clay with 6 tablespoons of argan oil. Since argan oil is quite pricey you can use another oil you like. Even Extra Virgin Olive Oil works. White Kaolin Clay is one of the mildest clays and therefore an excellent choice for sensitive skin. It’s known to be a mild exfoliant so the ideal scrub for delicate skin types. This clay doesn’t draw oils from the skin as much. That’s why it’s also a good pick for dry skin types. 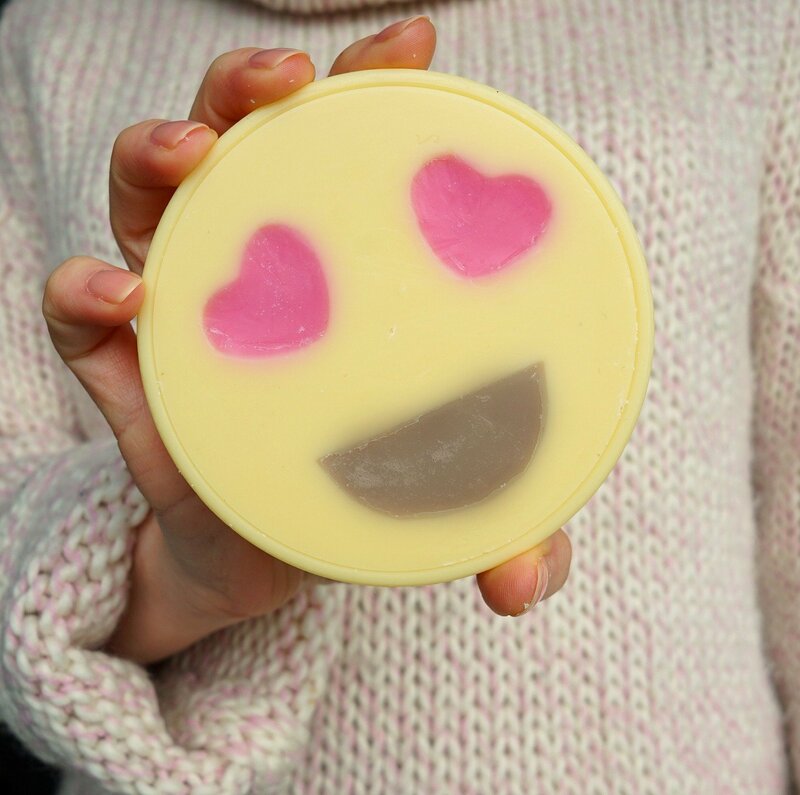 I like to pair this clay with one of my favorite facial oils: almond oil! In a jar I combined 6 tablespoons of white kaolin clay with 6 tablespoons of almond oil. A Rassoul or Moroccan Clay Mask is just what you need to unblock your pores and clear blackheads. I like to use this for my T-zone. I combine this clay with a nice lightweight balancing oil like grapeseed oil. To make this clay mask I combined 6 tablespoons of rassoul clay with 6 tablespoons of grapeseed oil. Store these masks in an airtight container in a dry, cool place. It’s important that you keep all water out of the containers. This is the fun part. Now you can start painting your face! First I start with a clean, dry face. Scoop out 2 teaspoons of the mixture into a mixing bowl. 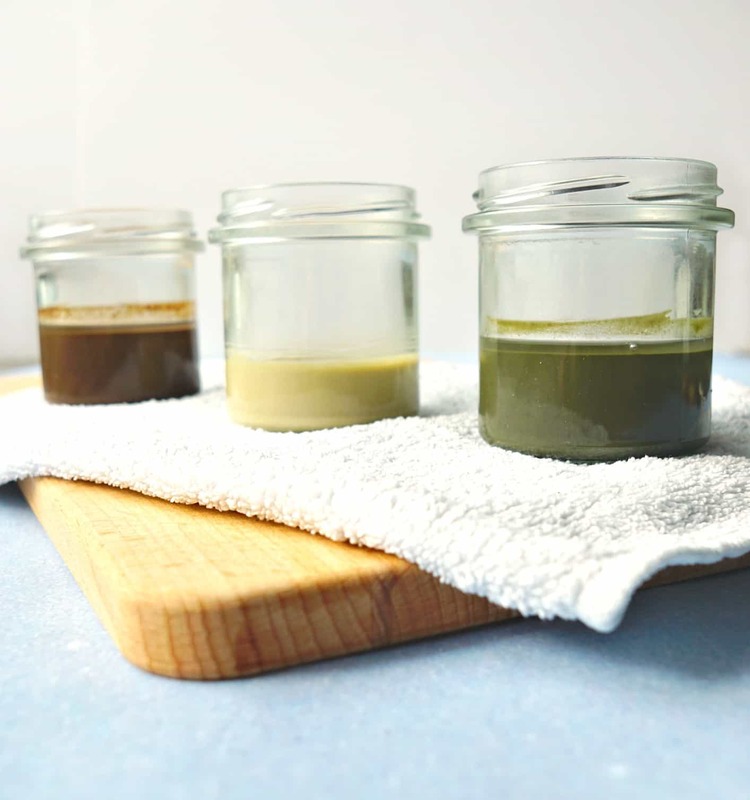 The oil and clay mixture might separate over time, so you might want to stir them together first. Add 1 – 2 teaspoons of water to the mixing bowl and stir together until you have a paste. I like to apply a thin layer of the rassoul clay mask all over my nose and chin. The green clay mask goes on my forehead. The parts of my face that aren’t covered get a layer of the white clay mask. All that’s left to do is snap a picture and upload it to your insta 🙂 If you dare. 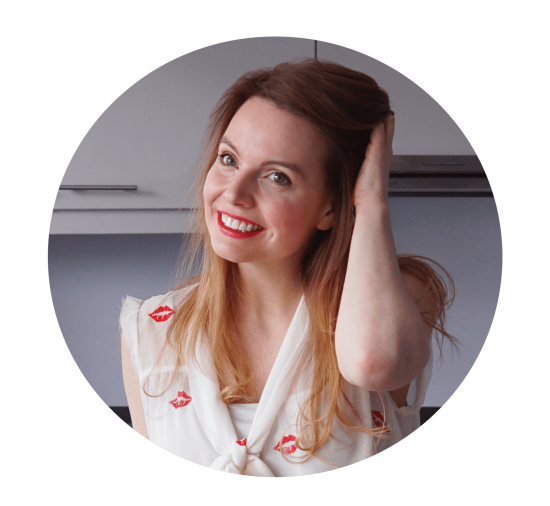 Check out my Guide to Choose the Right Clay for your Face and discover 3 more recipes!